Amazing remodel! This modern open floor plan boasts tons of natural light with beautiful finishes throughout. Gleaming engineered hard wood flooring throughout home! Dream kitchen with stainless appliances, lots of working counter space, soft-close drawers, vaulted ceilings, quartz counter tops with plenty of room for entertaining. 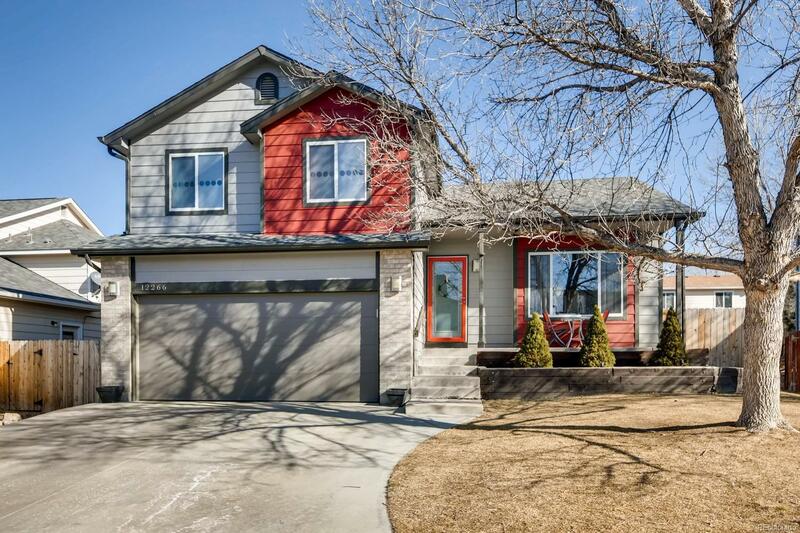 Master suite with beautiful tile, updated shower with walk in closet, and vaulted ceilings. Secondary bedrooms have tile floors, newer paint and lots of light. Finished basement space with plenty of storage including a 1/4 bathroom. Fabulous yard with patio that has plenty of space to play in! Close to shops, trails, transportation. Walking distance to new library and parks. New roof in 2018! Too much to list! Must see this home!